- The last name Baudelaire is a reference to Charles Baudelaire, a French poet. 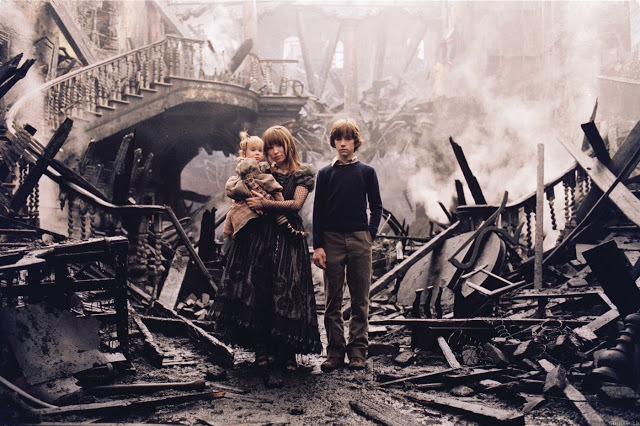 - The first three books were made into an Academy-award winning movie directed by Brad Silberling. I've got to tell you something important: Count Olaf is a villain! 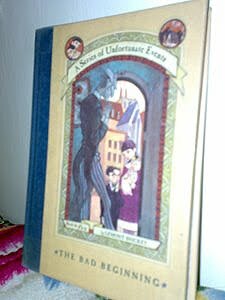 That's right and he was first spotted in the first book of The Series of Unfortunate Events: The Bad Beginning. So I might as well tell you not to anger him -- or maybe hiding is quite better. Don't think that he is alone with his schemes for he has many cronies to assist his every evil plan. "I'm sorry to say that the book you are holding in your hands is extremely unpleasant. It tells an unhappy tale about three very unlucky children. Even though they are charming and clever, the Baudelaire siblings lead lives filled with misery and woe. From the very first page of this book when the children are at the beach and receive terrible news, continuing on through the entire story, disaster lurks at their heels. One might say they are magnets for misfortune. "In this short book alone, the three youngsters encounter a greedy and repulsive villain, itchy clothing, a disastrous fire, a plot to steal their fortune, and cold porridge for breakfast. This unfortunate story will unfortunately hook you to the very end. I was brought back to my childish yearnings and at times got frustrated on the anti-climax plot, which was really a tease. So don't ever dream of buying this book for you will, unfortunately, be spending a lot of money for the next books of the series.